Gloves ENERGY100 'resistant PU offer an innovative design, with the new "block" preformed high compression IMF foam: the glove is made of one piece and guarantees the boxer a perfect fit fist and wrist during the training. The attachment system with Velcro and elastic band ensures a fit and maintaining effi cient wrist. The gloves are decorated with a stylish printed logo and three vertical stripes. 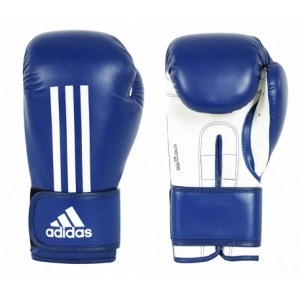 The shape was designed to optimize power and effi ciency of the boxer's movements.